The wave of #MeToo has hit the entire nation and we couldn’t be more grateful to the brave women for stepping out and garnering immense courage to voice out the horrific nightmares they have been experiencing since long in their lives. And while this has given courage to more women for speaking out in open, the generous support they’ve been receiving from people across the nation with many known names leading the army, has only multiplied the spirit altogether. Harneet Singh, a journalist and a known name in the field of television industry at present, who is writing for one of the top most shows on Indian TV right now – Ishqbaaaz. 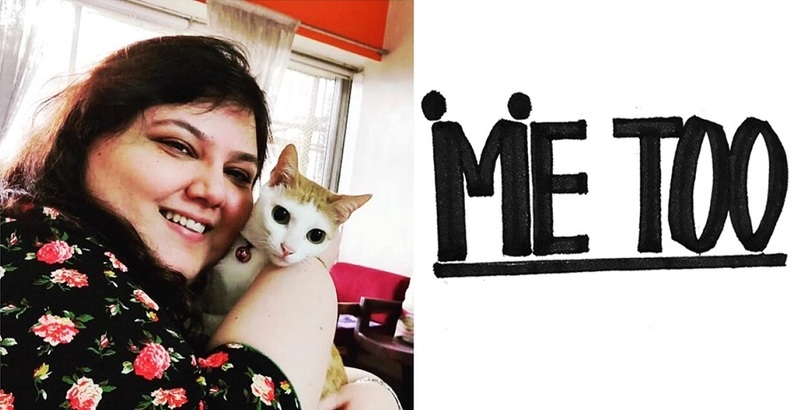 #MeToo has hit the media industry very badly, more than television or Bollywood let’s say and she has been a part of both, as a journalist and as a screenwriter. “I think this has been going on for so long in every industry. 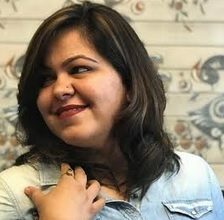 It is not just media but in every industry, at workplace there have been lots of incidents”, elaborating further on the prevailing grass root problem, she adds, “When we go to work, we go through a lot and there is another kind of a glass feeling that every woman has to break. It’s a man’s world and we are fighting, there are so many battles that we fight every day and we have been fighting for a really long time. And this patriarchy which is a part of our culture has had it coming. I think women have been quiet and there has been a building anger in women for such a long time. That rage is now coming out. It also happened because women have now started speaking out and they have been saying no more. We went on to ask her, how she perceived this movement and what advice she had for the aspiring journalists and writers in the industry. With years of experience and skills, Harneet Singh had some very crucial and meaningful advice to give. “Keep your eyes and ears open, speak out and don’t take it lying low and use that anger in constructive work. Because this is basically what has happened with a minister. It was the testimony of one woman Priya Ramani (who’s my ex-boss and somebody who really shaped me as a journalist), that made other woman supporting her. All of them became like warriors because truth is on their side”, she said. But she glories forced marriage in the show she writes!!!! Very well remarked Shaina👏👏 can’t agree more with you…creating a Me Too track but showing FLs being complete doormats when it comes to their spouses doesn’t connect…currently too apalled at the way they are depicting Gauri and Bhavya…their husbands are being obnoxious, don’t let wife meet her sister, is brazenly stealing and not a word from their wives!! So much from the lady who is hailing courage…great! !